Imagine how many unique traditions there are around the world when even families in the same country have a wide variety of birthday traditions. From celebrating with a cake and candles in the United States to slurping long noodles in China, there are many truly interesting traditions. According to an article by ABC News, the most common birthday in the United States is October fifth. Just how will all those Americans celebrate their birthday? In the USA, the focus is on celebrating the birthday with the person's friends and family. A party with balloons and streamers is common and most people are given a cake for their birthday. Candles are placed on top of the cake, one candle for each year of the person's life to represent his or her age. The candles are little and as you light the candles, Happy Birthday to You is sung. The birthday person makes a wish and tries to blow out all the candles on one try. If the candles are all blown out, then the wish will "come true." Gifts are personal to the person receiving the item and can include things like gift cards, favorite fragrances, and hobby items. Food served might include anything from barbeque to pizza and chips. Finger foods that can be easily picked up and eaten are also popular. Some people make a punch made of fruit drink and ginger ale. 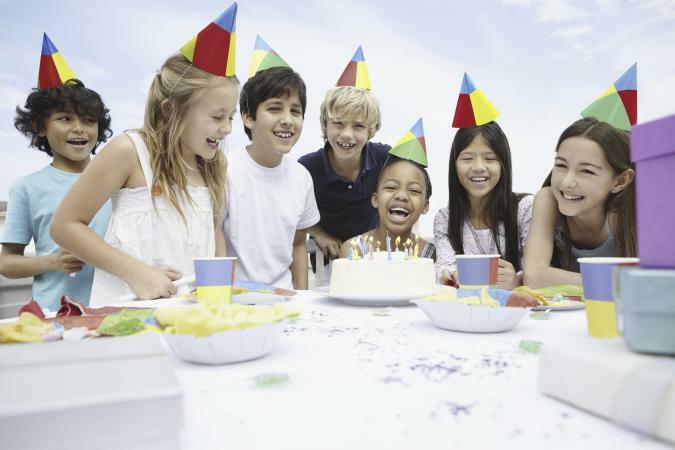 According to LASNews, birthday parties became mainstream in the United States sometime after WWII. Happy Birthday to You was first written in the late 1800s, although there is a dispute over who actually wrote and owns the copyright to the song. Americans also enjoy celebrating the birthdays of famous people through the country's history, including Martin Luther King, Jr. (civil rights leader), George Washington (first president), and even the nation's birthday on July 4th. According to ABC Central West, the Chinese typically only celebrate certain birthdays: the first, 10th, 60th, 70th, and 80th. The 60th birthday is important to the Chinese because it is seen as completing a full zodiac (12 x 5 = 60). Birthdays are typically family affairs. Food includes a bowl of long life noodles - long noodles that the person slurps into their mouth. A long slurp equals a long life. The Chinese say Zhu ni sheng ri kuai le, which means "happy birthday to you." Also, the actual day of the person's birth might not be when the person celebrates her birthday. Chinese people recognize their birthday by the Chinese calendar. At birth, the child is seen as one year old and turns two on the Chinese new year. If a child is born at the end of one year, he might be seen as two years old when he is technically only two days old. A Mexican party is called a fiesta and includes traditional food items, such as tacos, as well as a candy-filled paper mache figure (pinata) that is hit with a stick until it bursts open and candy spills everywhere for the party guests to enjoy. A very important tradition in Mexican culture is the Quinceanera, which is traditionally celebrated on a young woman's fifteenth birthday. The celebration is meant to mark the young girl's movement into womanhood and is complete with a formal gown, dancing, and a tiered cake. It is comparable to a wedding reception in its scope. The Mexican birthday song is called Las Mañanitas and was written in the 1950s. Similar to the birthday song sung in the United States, when the song finishes, the birthday girl or boy blows out candles and makes a wish. Africa is made up of many areas and villages, each with different traditions. For example, in some communities, a child's birth is celebrated. In others, the birth is not celebrated, but the time when the child is seen as reaching an age of maturity is. The Ghana people celebrate a birthday by waking the child with "oto," which is a fried sweet potato patty. A family meal may be shared and children may claims later in the day. In the Masai Tribe, located in Kenya, boys must complete three rites of passage beginning at about ages 14 to 16, along with a group of boys of similar age. This is seen at the age which they will enter manhood. One of the elements that celebrate a boy's graduation to manhood after completing years of living in a ritual encampment is the 'Jumping Dance.' Formerly it was a tradition for girls to undergo a similar ceremony involving female circumcision, but that has been outlawed and alternatives sought by humanities groups. In Egypt, family and friends are invited to a party (hafla) that includes singing and dancing. Flowers and fruit are the main party decorations and are "seen as symbols of life and growth." Egyptians usually have a birthday cake, but do not send one another birthday cards the way people do in the United States. As in many other countries, an Irish birthday is celebrated with a gathering of family and friends. Traditional Irish foods, drinks, singing, and dancing are all part of the festivities. One unusual Irish tradition is "bumping" the birthday child. An adult turns the child upside down and very gently bumps his head on the floor. The number of bumps equals the age of the child. For those who come of age, usually 21 in Ireland, the "key of the house" is given. This signifies that the person is an adult and can come and go as he pleases. In Japan, birthdays aren't celebrated as often as they are in America. Similar to China, the Japanese traditionally celebrated a person turning a year older on New Year's Day. Instead of an official party, young children participate in the 7-5-3 celebration, which is held on November 15th and is called the Shichi-go-san (七五三). Because children often died young in ancient times, when a boy reaches the age of five or a girl reaches the ages of three and seven, the child puts on his or her finest clothes and goes to the shrine to give thanks for health. Children might also be allowed to purchase a bag of candy. In recent years, Western culture has begun to influence Japanese culture and some people are also celebrating their actual birthdays with parties and cake. Norwegians are big on celebrating birthdays. Children whose birthdays fall during the school year will be recognized in class and Norwegians celebrate birthdays with parties including food, music, dancing, and cake. The cake is typically chocolate or a fruit-and-cream type. Foods include seafood and fresh fruit. Instead of someone else throwing a party for her, the birthday girl (or boy) plans her own party and invites family and friends. The Norwegian happy birthday song is called Hurra for Deg. Guests bring a small gift. Most birthday parties in Australia are barbecues. The weather is typically warm in Australia, so it makes sense to take the festivities outdoors with plenty of room to celebrate and mingle. Parties are typically decorated with balloons and streamers. A cake with candles is brought out and the birthday person makes a wish before blowing out the candles. Children eat a special dish called fairy bread. 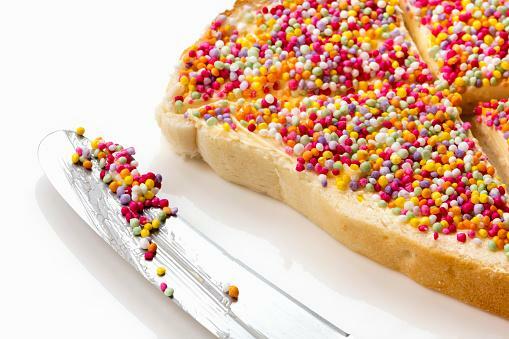 Fairy bread is bread slathered with butter and covered with sugar candy sprinkles. A birthday celebration in Great Britain is very similar to one in the United States or Australia, which makes sense as England is the motherland of the other two. Children might drink "squash" which is a type of fruit drink made from syrup. Food would include a birthday cake decorated with lighted candles that represent the child's age. The child makes a wish and blows out the candles. Although families used to participate in the tradition of being given the key to the house, this is no longer common. It is common for party guests to finish "Happy Birthday to You" and then say "Hip Hip Hooray" three times. In the Netherlands, birthday boys and girls host their own parties in their homes. A meal is typically served at kid's parties, but only cake is usually served at an adult birthday bash. Party guests greet the birthday boy or girl with the phrase "Gefeliciteerd," meaning congratulations, and a series of cheek kisses. Guests first shake hands with the host then kiss them on the right cheek, left cheek, and right cheek again. As a guest, you move through the party and congratulate all the other friends and family members of the birthday person. Near the end of the traditional happy birthday song, a few people shout "Hieperdepiep" then everyone else yells "HOERA" with a hand raised in the air. The Dutch place a high value on all guests participating in this interactive song, so guests should be prepared to join in. Birthday parties for kids in Brazil are traditionally large, extravagant affairs. There are even specific event venues called buffet infantil whose sole purpose is hosting kid's birthday parties. No party is complete without an elaborate dessert and candy table that includes gift bags guests can fill and take home. The cake is the centerpiece of this dessert table and is surrounded by a huge variety of sweet treats. The special birthday person is given the first piece of cake, but doesn't keep it for himself. Instead, he gives this piece to an important person in his life like his mom or dad. These are just a few of the many birthday traditions found around the world. Each country has unique ways to celebrate birthdays and each region adds its own touch. Individual families break it down even more with specific traditions and special memories unique to that family. How can you implement some of these ideas into your celebrations to make your birthday parties unique?